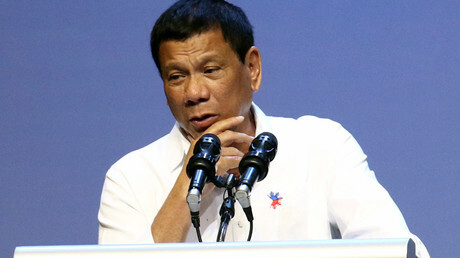 Philippines President Rodrigo Duterte has accused the US of building a “permanent” arms depot in his country, warning President Donald Trump that such moves jeopardizes the security treaty between them. Duterte alleged that the Trump administration was moving arsenal into three provinces of the Philippines intending to store it there permanently. During an impassioned televised news conference Sunday, Duterte said, "They're unloading arms in the Philippines now ... I'm serving notice to the armed forces of the United States. Do not do it, I will not allow it,"as reported by Reuters. 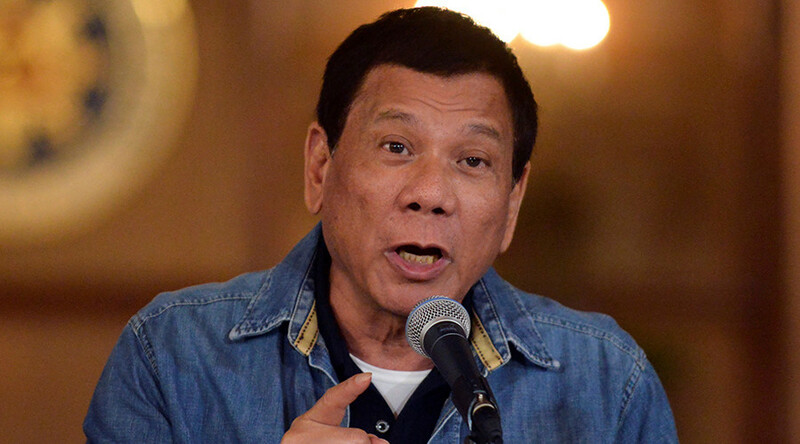 Duterte went on to warn Washington that permanent facilities are against the terms of the US-Philippine security agreement and threatened to review the deal "and maybe ultimately abrogate, since it is an executive order”. "Provisions of the Visiting Forces (Agreement), there shall be no permanent facilities. A depot is by any other name a depot. It's a permanent structure to house arms," Duterte warned. "I do not even know if there is a nuclear tip (missile) now, that they are unloading," he added. The outspoken leader’s comments come three days after the Defence Secretary, Delfin Lorenzana, said the Pentagon has given the go-ahead to start constructing warehouses, barracks and runways for their troops and equipment inside Philippines military camps as early as this year. The 2014 Enhanced Defence Cooperation Agreement (EDCA) allows for the rotational deployment of US ships, aircraft and troops, as well as the storage of supplies for humanitarian and maritime security operations, at five bases located around the Philippines. Duterte alleges that Washington’s actions put the Philippines in “extreme danger” if they are seen to be aiding the US in its battle with China over the South China Sea. "The missiles of China are pointed at the American expeditions," he said, referring to its naval patrols. "A depot would serve as a supply line." Duterte has blasted the United States for pressuring him to enforce a 2016 ruling from the Permanent Court of Arbitration that invalidated most of Beijing's claims on the disputed islands. "You are egging us ... egging us (on) to force the issue of arbitral judgment," he said, referring to the United States. Duterte went on to deliver an “urgent” message to China to help provide precision-guided missiles to fight Islamic State (IS, formerly ISIS/ISIL) militants in the south of his country, before emphasising the arbitral ruling would be discussed with China when the time is right. "I made a commitment to President Xi Jinping, I made a solemn commitment that we will talk about this arbitral award during my term. When, I really do not know, but we will talk hard," he said.